Today all wold is connected through social media. Spread the cause through the famous social media tools such as Facebook, twitter, Google+, Instagram, Pinrest etc. Modi government is far more receptive of social media. Be a volunteer. No one can achieve the goal alone. We ALL must step forward and work together. Take a responsibility. We will be holding demonstrations, events and meetings, participate in such efforts. 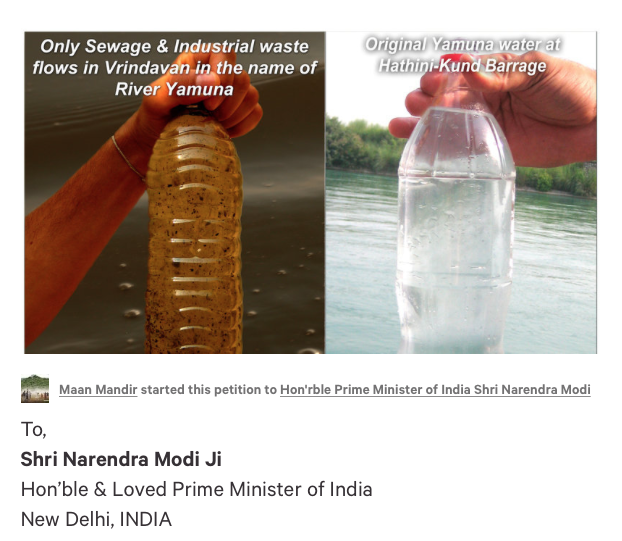 Write to the ministers of Indian Goverment who are engagged in water related matters such as minister of Water Resources (Ms Uma Bharti is currently in office). Personlized communication works the best. 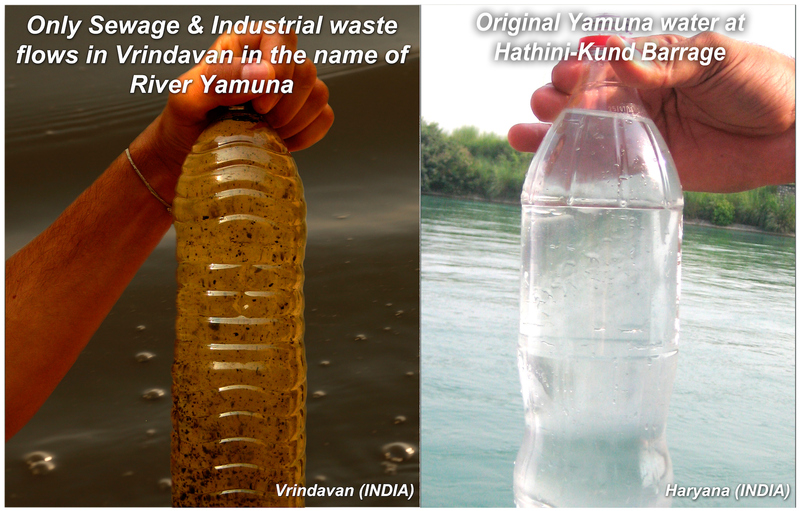 Bringing Yamun River Back to Braj is one of the top priorities of Maan Mandir Seva Sansthan. The campaign is running world wide. A number of events are taking place around the world. We are in the middle of creating an automated system to provide updates to our visitors. If you wish to get updates, please subsribe here. You will have choice to opt out of the distribution list.